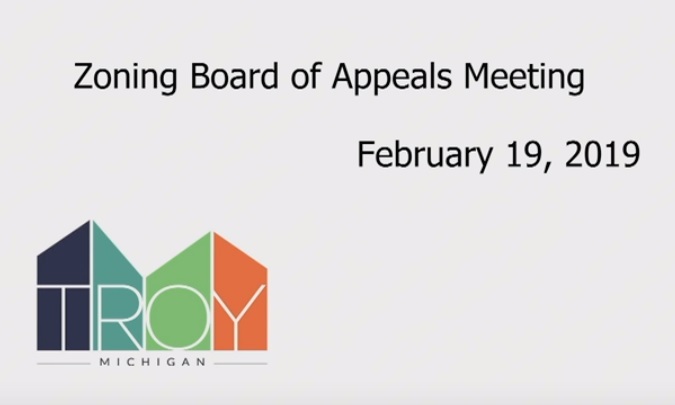 City staff has posted the video recording of the 4/9/19 Troy Planning Commission meeting to YouTube. At the bottom of this post is the video. Click here to download the entire Agenda Packet from the April 9th meeting. Click here to download the draft minutes from the April 9th meeting. 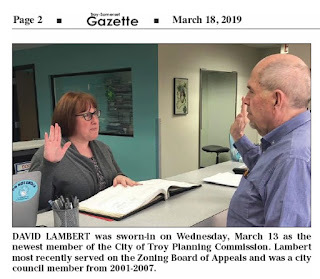 I'm looking forward to serving the citizens of Troy in my new capacity as a Planning Commissioner. Sadly, this brings to an end my eleven years of service on the City's Zoning Board of Appeals. Below is my "thank you" video that I posted on YouTube. 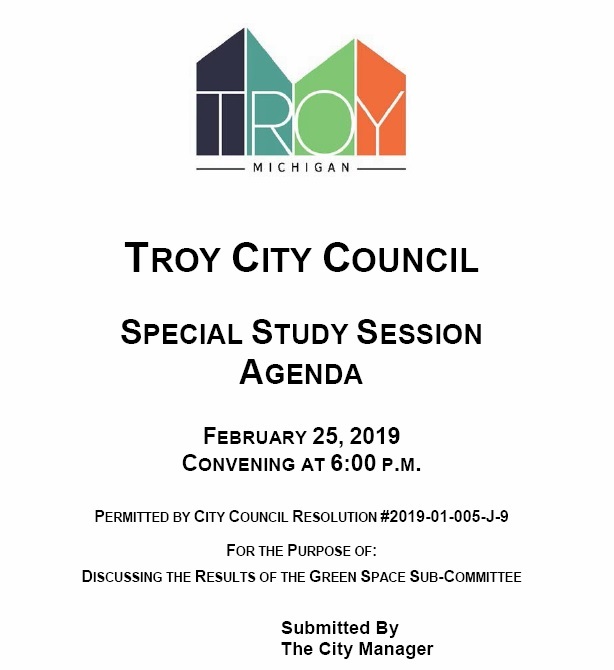 Troy City Council tasked staff to engage a committee of residents to define open space and green space as it relates to the city. They were tasked with analyzing the current city inventory of developed and undeveloped parks; identify open land parcels not owned by the city, and research surrounding communities as to what different ordinances are used to protect these types of parcels. The Parks and Recreation Board conducted a special meeting on January 11, 2018, to discuss City Council’s direction to utilize the board for feedback on green space preservation. A subcommittee was initiated and appointed Tim McGee to be the chairperson of the Green Space Sub-Committee. Mr. McGee led the committee to meet the objectives established by City Council. The committee started very large and concluded with 15 key contributors. 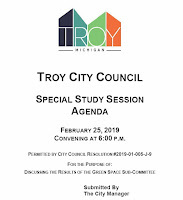 The committee used the information gathered to make recommendations to the Troy City Council. The Study Session on February 25, 2019, at 6pm, is to discuss the results of the Green Space Sub-Committee. The Study Session will provide an opportunity for committee members to highlight their important findings and make recommendations. The dialog will allow City of Troy Administration to develop future practices on open and green space in the city. 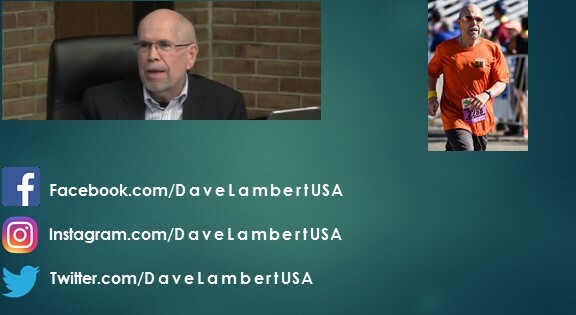 Below is the YouTube video of the Study Session. Click here, here and here for additional background information. Click here for the minutes from the Study Session.